David and Pam Haring bought their home from Pam’s aunt, and she has many happy memories of time spent there as a child. 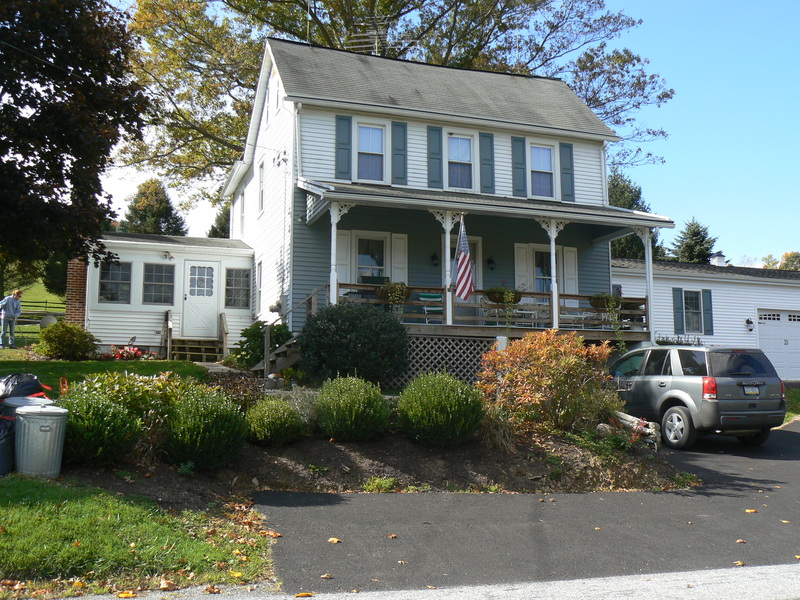 The Chester County, Pennsylvania, house was built around 1900, and has been in the family for many years. The Haring children were raised here, and now that they are grown, David and Pam share their home with two friendly, rescued dogs. The home is filled with family antiques, and everything has a story. One heirloom of note is a striking museum-quality oil portrait, which hangs in the master bedroom. 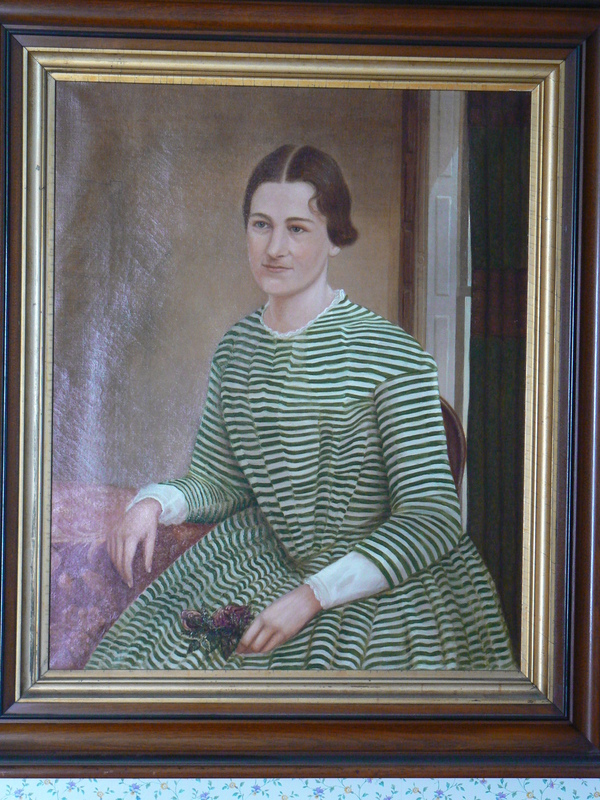 It is a beautiful image of Pam’s great-grandmother, Hannah Kincaid Schofield, born in 1822. The artist is unknown. 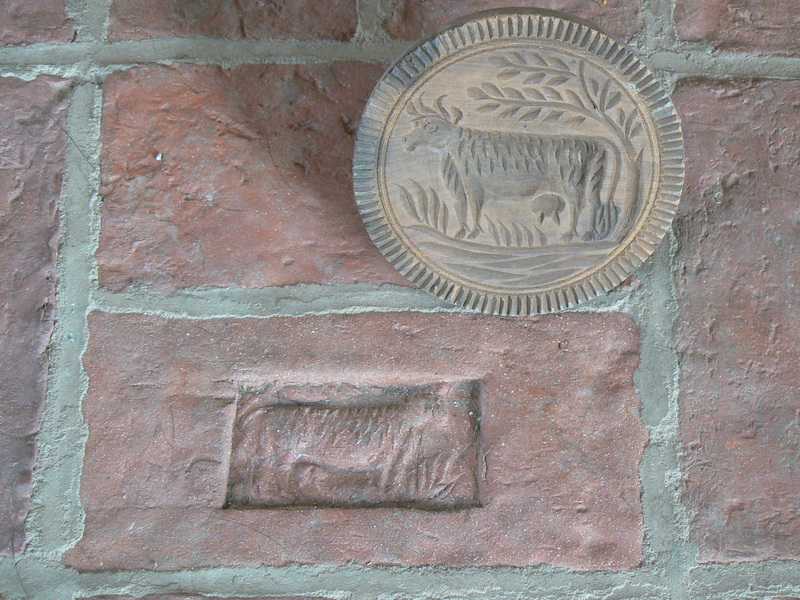 Another of Pam’s special pieces is incorporated into her Inglenook brick tile floor — a lovely, hand-carved cow butter mold, which once belonged to her mother-in-law. Pam brought Julie (owner of Inglenook Tile Design) the original wooden mold, and Julie first made a polymer clay cast. This she hardened in the oven, and then made another mold for the final pieces. The butter mold was returned to Pam in its original, perfect condition. 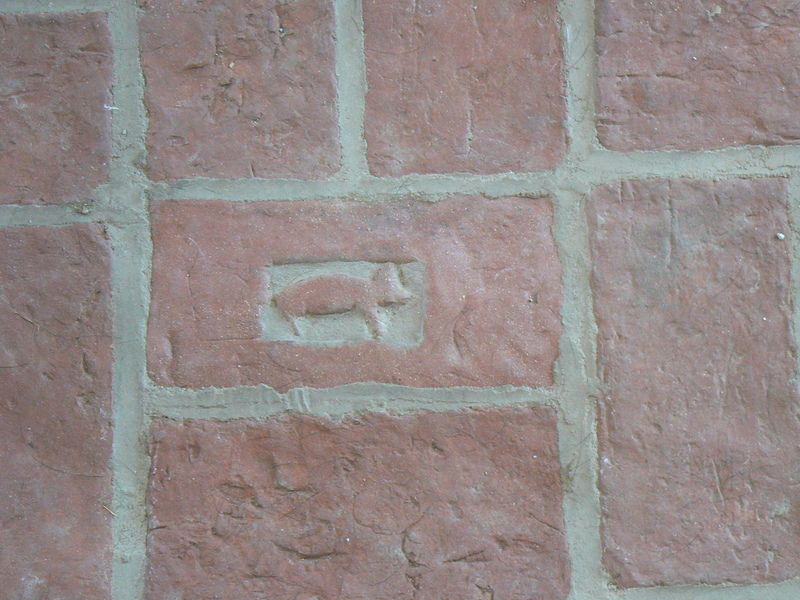 A window-shaped depression was made in a brick tile model, and the image of the cow was inserted, so that the design would not extend over the tile surface to create a tripping hazard. Pam and David loved the special touch of the cow on the floor — so much so that they also requested a few pigs, and some fern “fossils”. Pam proudly points them out on the floor. 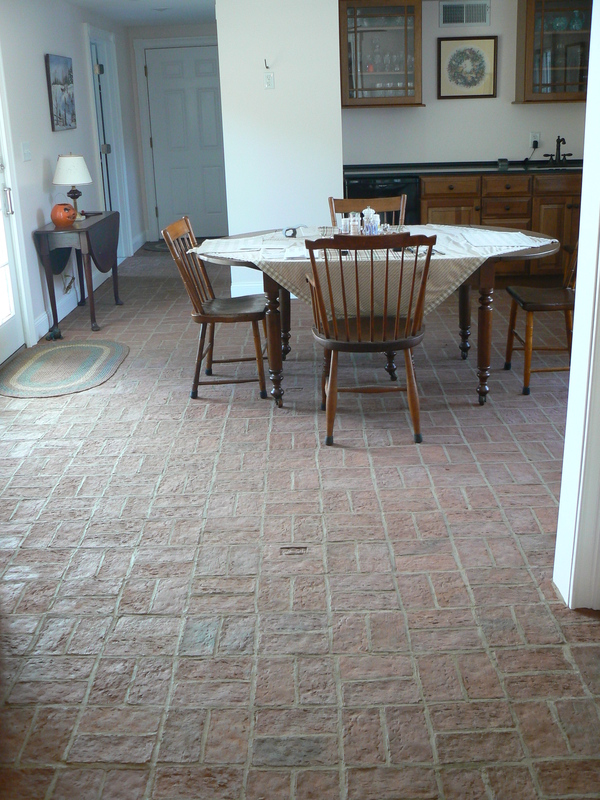 The Harings chose the Wright’s Ferry brick tile, with its tumbled sides and rustic surface, in the Marietta color mix. 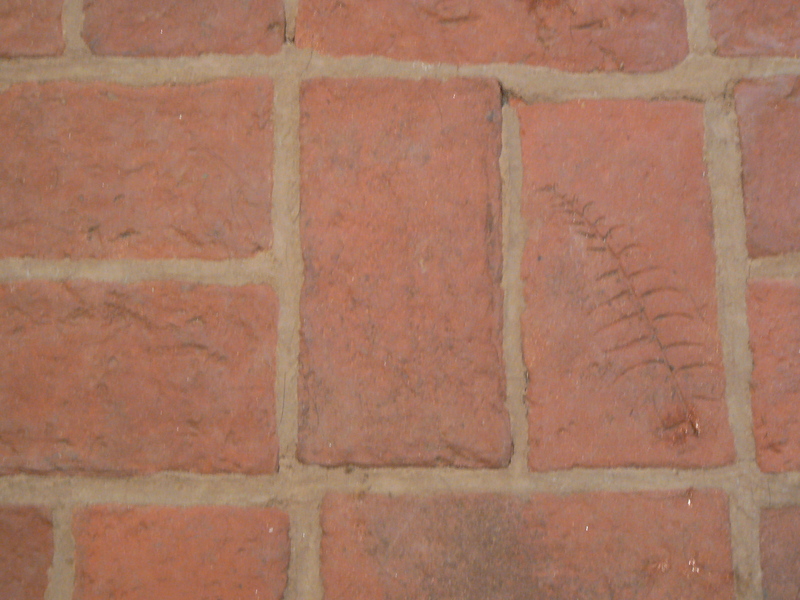 Their Inglenook brick floor covers most of the first level of their home. It extends throughout the large kitchen, with a seamless transition into an equally large dining room. This floor held up well to the constant foot traffic and the large dogs. 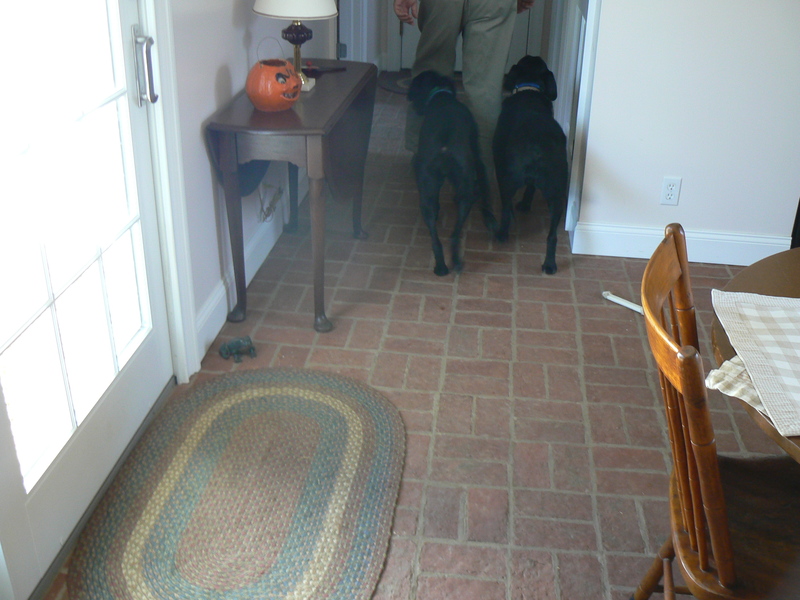 After the floor was installed, Pam and David decided to use the 2×8″ Lancaster Running Bond tiles to face a wall behind the dining room buffet. “I never want to live anywhere else,” says Pam. How lovely to be so contented, and know you are home! Posted in Tiles on June 27, 2011 by Inglenook Tile Design.